Not knowing the names doesn’t mean I can’t enjoy what I see, and I find it doesn’t reduce my curiosity any. Sometimes I wonder if not being able to name what I see allows me to see more clearly – to see the individual in its uniqueness, rather than reduced to a member of a particular category. 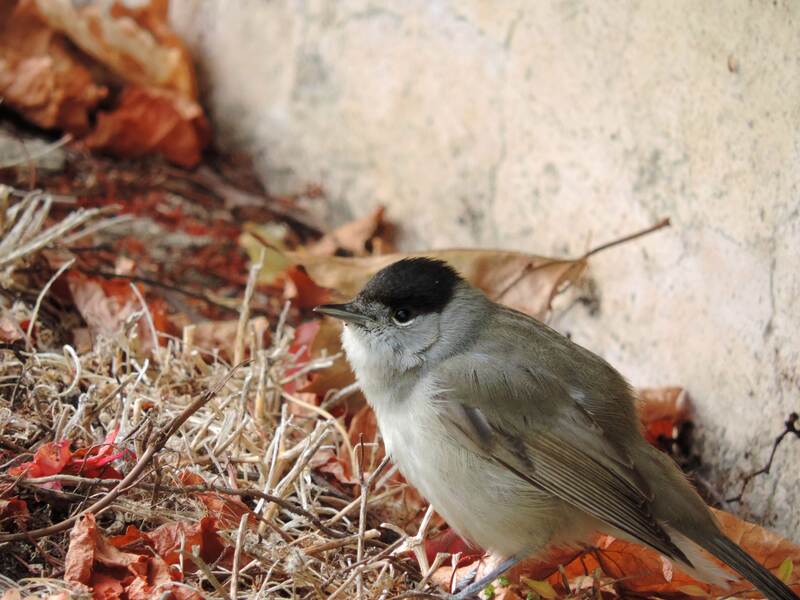 However, it doesn’t stop me wondering….so, does anyone know what kind of bird this little one is? I spotted it a couple of days ago. I’m wondering if it’s a black-headed warbler. It was small, but I also think it was young – seemed quite fluffy! Whatever its name, this is sure a lovely photo – especially with the autumn leaves on the ground.